1. 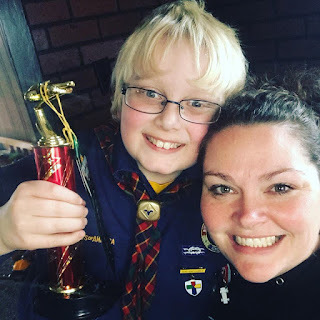 My nephew, Gavin, won his Pinewood Derby whatever the hell that is contest for Cub Scouts (Boy Scouts? I don't know what it actually is. Cub Scouts seems too young?). He needed this win. He's had a rough year. I am so, so, so happy for him. 2. The television shows 911 and The Resident just started and they are good. Check them out. Also, Greys and Scandal are LIT lately. 3. I had about an hour to kill last weekend, so I went to the library, picked a book off the shelf, found a cozy corner and started reading. It was AMAZING. I need to do this more often. 4. It's cold out. Big, comfy boy hoodies and big, comfy sweats are my main jam.